CAPRE MEDIA | CAPRE EVENTS > Conference Coverage > Data Centers > Seattle Market 360 with Tim Doherty, Digital Fortress: If Someone Handed You a Sack of Cash, Where Would You Invest it? Seattle Market 360 with Tim Doherty, Digital Fortress: If Someone Handed You a Sack of Cash, Where Would You Invest it? 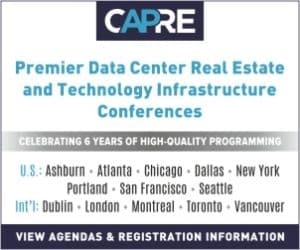 SEATTLE, WA – CapRE’s Fourth Annual Greater Seattle & Pacific Northwest Data Center Summit on November 15 was a full day of non-stop market analysis and networking. Chock-full of rousing, in-depth panels, the event welcomed 250+ attendees from all over the region. And to kick off those discussions right, CapRE chose Greater Seattle Data Center Market 360: Hard Questions about the Infusion of New Capital, Development and Investment Trends as the first session of the day. Below, we highlight the introduction of panelist Timothy Doherty, Chief Executive Officer at Digital Fortress by Moderator Tony Wanger, former CEO of IO. Moderator: Anthony Wanger, Data Center Developer: I want to keep this panel to the point and to leverage the expertise of these experts. So Tim, let’s start with you. In preparing for this event today, looking at your background and all your experience, you’re very senior and been in this space for awhile. You’ve seen this space from the network side, the colo side, the hosting side, the data center side. So there are a lot of different ways to play the digitization theme. There is a lot of internet infrastructure that is getting built and needs to be built. So what have you noticed, that works? What doesn’t work? If someone handed you investment capital today, what would you do more of and what would you run away from? Timothy Doherty, Chief Executive Officer, Digital Fortress: Well, that’s a big question. To answer it, if someone handed me a sack of cash today, I would follow the lead of many other companies today, and invest in connectivity back to the Cloud. Because not all infrastructure will go to the Cloud eventually. There is a lot that cannot go to the Cloud. It does not want to go to the Cloud. And it has to reside in a data center. And by the way that’s where all Cloud is – it has to reside in a data center somewhere. So the SD-WAN market has been a very robust market as of late. It allows very mobile connectivity for people in data centers, backing and out of the Cloud, when you need to push meaty compute up and back down to house infrastructure. AI and connectivity of AI is a very big market today. AI demands for subsets of compute that don’t exist and are very hard to replicate in the Cloud. So that’s a big question but I would look at that. Wanger: Are there areas that are over-invested that you would avoid? Doherty: Of course there are areas that are over-invested that I would avoid. But those are temporal in the sense that they come and go. It just depends on where. Is there too much space in the data center market in a specific geography? Of course. Is there not enough in another? That is much like catching a knife. You have to be very careful. And yet I have seen markets that everyone says is over-invested, continue to absorb and perform. I don’t have a crystal ball, but I would love to.